Our door strip Standard PVC Strip Curtains are the UK's premier energy-saving plastic PVC strip curtains for walk-in fridges and cold rooms (sometimes known as butcher's curtains.) The PVC stays flexible and crack resistant down to -15C. They are a simple, cost-effective way to save money by preserving cold/heat. Our Polargrade PVC Curtains are ideal for use in freezer cold rooms. The PVC stays flexible and crack resistant down to -25C. Set of 6 - 200mm x 2mm x 2050mm clear PVC strips for a 25% overlap. Set of 7 - 200mm x 2mm x 2050mm clear PVC strips for a 25% overlap. 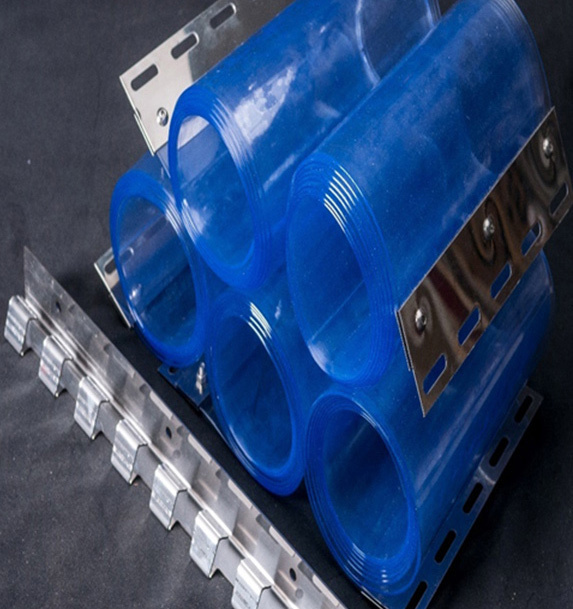 Set of 8 - 200mm x 2mm x 2050mm clear PVC strips for a 25% overlap. Set of 9 - 200mm x 2mm x 2050mm clear PVC strips for a 25% overlap.